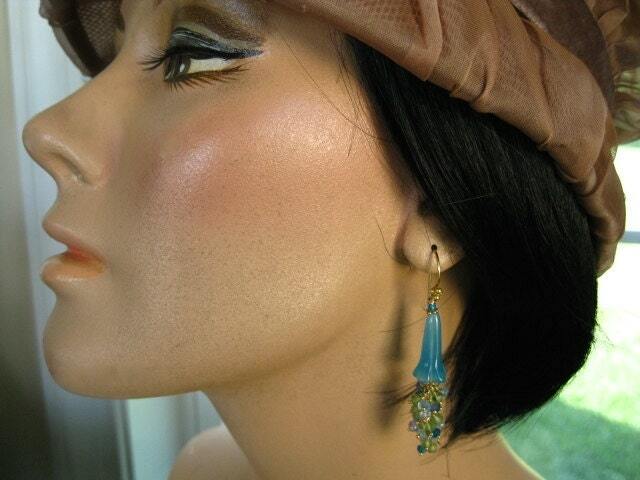 Carved "trumpet" flowers of aqua chalcedony take center stage in the "Triton's Trumpet" earrings. 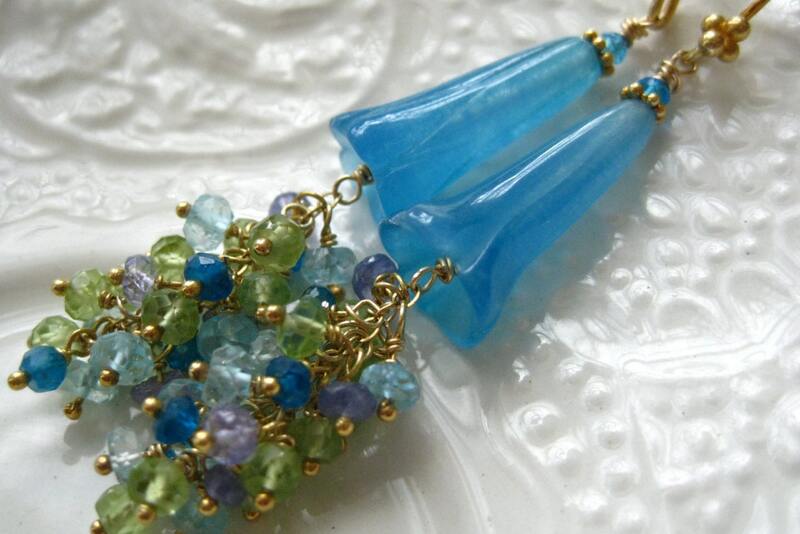 In these completely unique gemstone earrings, you will also find gorgeous tanzanite, apatite, peridot, and blue topaz rondelles. All metal used is 24kt gold *vermeil, which is a thick layer of 24kt gold, over a base of sterling silver. Guaranteed to make you feel special, like a mermaid or sea goddess, the "Triton's Trumpet" earrings are exotic. 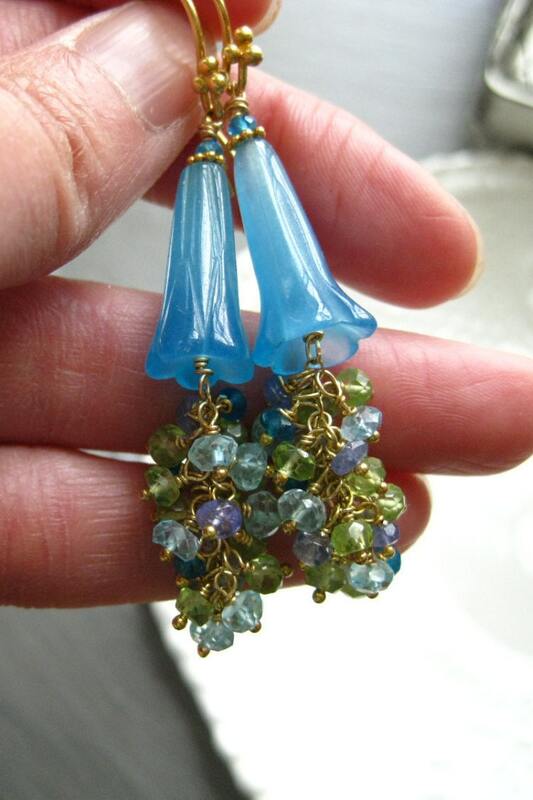 These are a one of a kind pair of earrings, so if you love them, don't let them get away! Your earrings will ship USPS Priority mail with tracking in the US, and will be packaged in a lovely gift box tied with ribbon.